Solar Power World took on a 'heavy' topic in March when they reported on ballasts for ballasted systems. 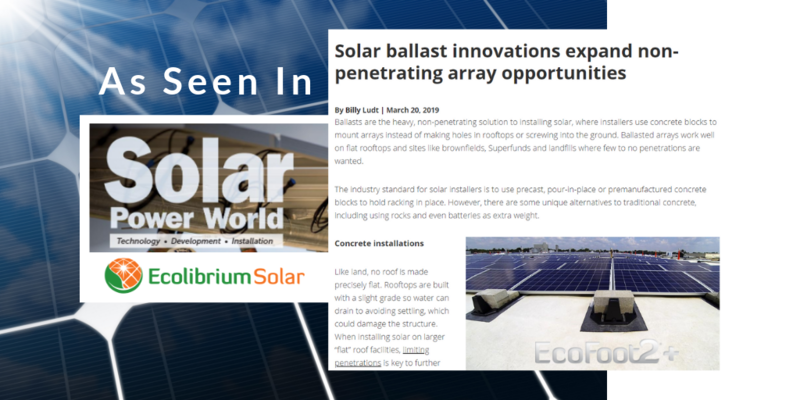 “The greatest limiting factor with a ballasted system is the structure of a building, and typically we have a structural engineer who analyzes the building and says what the structure can support,” said Ecolibrium's project solutions manager Chris Berg in an interview with assistant editor Billy Ludt. The article details the factors that go into ballast selection and can be read here. Learn more about EcoFoot2+ and EcoFoot5D Ballasted Systems.